Ever generate a report, click on the "Export Details' button only to find out that once opened in Excel, the report looks nothing like what you saw in your browser window. What's going on here? 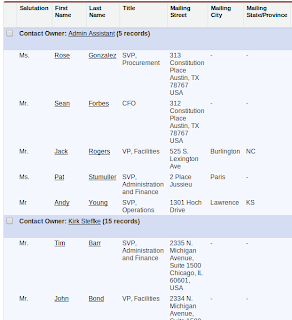 Here's a very simple Contact report grouped by Contact Owner. 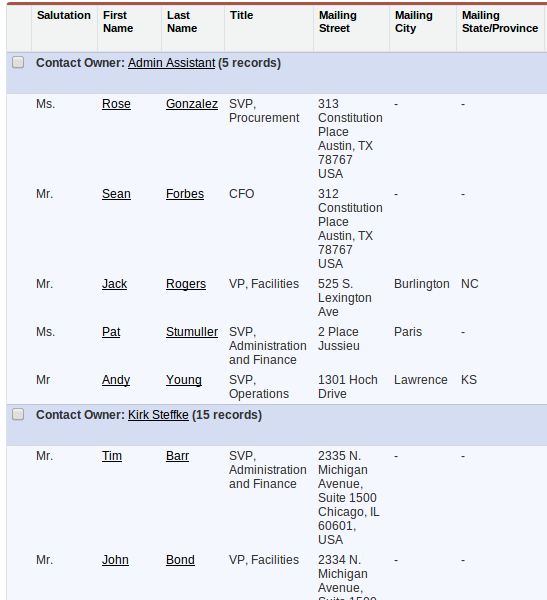 You can see there is a distinct grouping by Owner (dark blue bar). The "Export Details" button does exactly that... it exports the details of the report; meaning every line that makes up your report will be rendered as a new line in your .xls or .csv. This is regardless of whether or not you have clicked on the "Show Details" or "Hide Details" button. 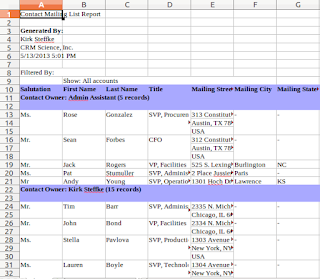 Of course, you could rework the resulting spreadsheet and do the grouping yourself, but why would you do that? Rather than eagerly clicking on the "Export Details button," take the "Printable View" button for a test drive. 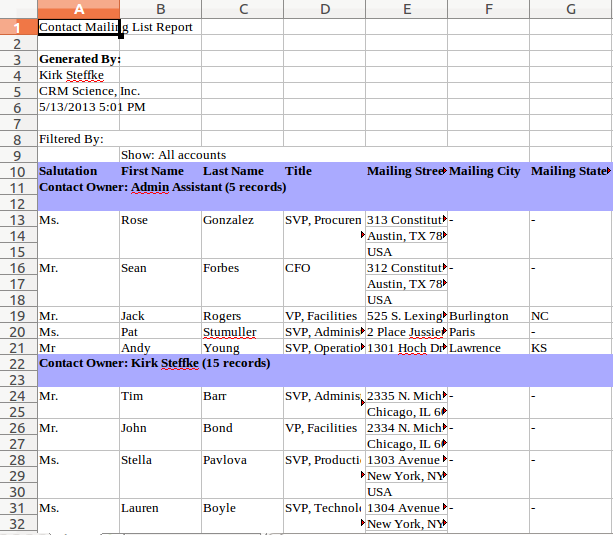 It will render your report again as an .xls file, but retain the grouping as you see it on your report. If you want to see the details, click on the "Show Details" button prior to clicking on the "Printable View" button. This will show each line item as well as the summarized headers. If you don't want details, make sure that you've clicked on the "Hide Details" button. Note that when you choose "Export Details," you are prompted to chose an export file encoding format (ISO, Unicode, etc) and export file format (.csv or .xls). 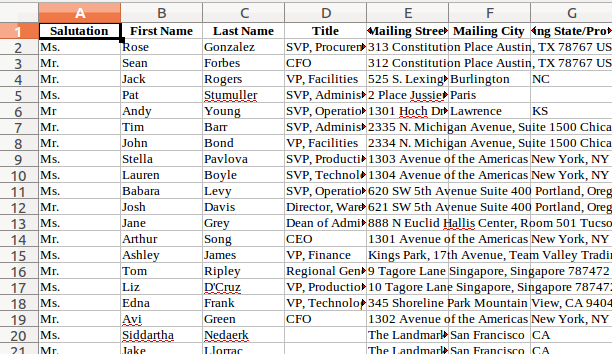 If using the "Printable View" option, you will always get a .xls file. 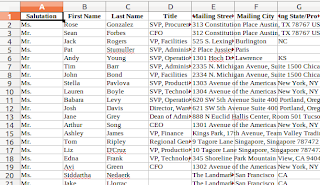 Within your spreadsheet editor, you can always choose to save with another file extension and encoding format. In case you were wondering, this also works for Matrix reports!